For the past three years, ZENITH has been associated with Land Rover. In 2017 the creative partnership launched the Chronomaster El Primero Range Rover Velar, a model celebrating the iconic Range Rover name. A new vehicle deserved a new timepiece, and the next-generation Range Rover Evoque is paired with the latest ZENITH watch from the DEFY Classic collection: a chic and sporty timepiece honoring a landmark design. 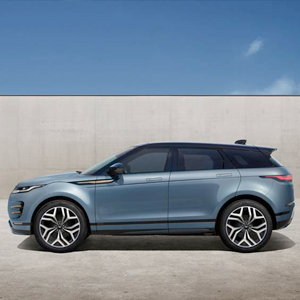 The new Range Rover Evoque is designed to expertly blend city living with country escapism, building on the original’s enduring luxury appeal with a purposeful and precise evolution of its instantly recognizable silhouette. A reductive design approach focused on simplicity, the most compact Range Rover is a vision of modernity and timeless design placing Evoque back at the top of the segment. Specially co-developed by design and technical engineering teams working in close harmony, this 200-piece limited edition of the DEFY Classic Range Rover is a combination of its own streamlined looks and certain unmistakable elements drawn from its automotive inspiration. These notably include color themes evoking the UK manufactured vehicle, such as the seconds hand and oscillating weight attired in Arctic Petrol (turquoise blue) inspired by the accents on Evoques steering wheel and seats. 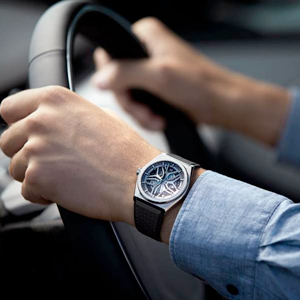 The open-worked dial of this sophisticated timepiece is inspired by the sculptural design of the wheel design of the Evoque, while the quilted-patterned upholstery of the premium SUV is picked up in the ‘diamond’ motif gracing the rubber strap of its horological alter ego. 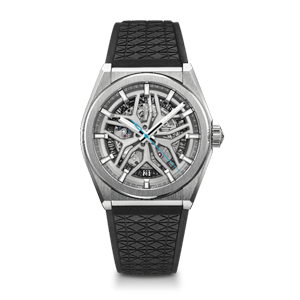 Powered by a new Elite skeletonised movement, ZENITH’s first reinterpretation of its Defy Classic collection radiates a unique allure based on an inspired and powerful design.